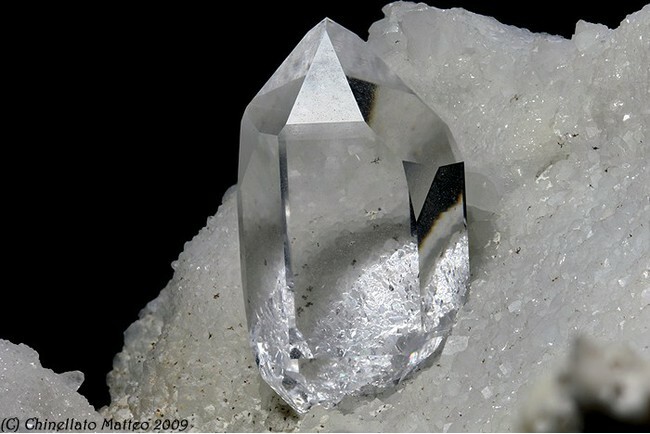 Comments: Perfectly clear rock crystals with good luster ("Diamanti di Carrara"). 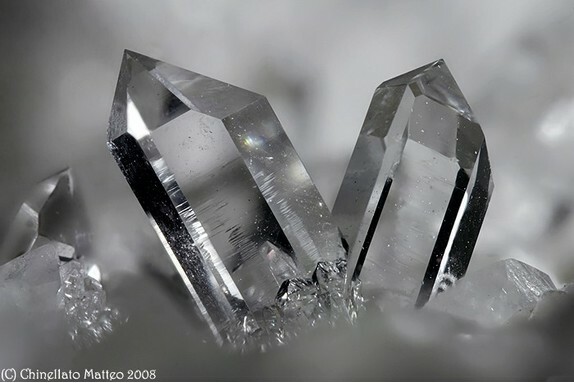 Rich in crystallographic forms. 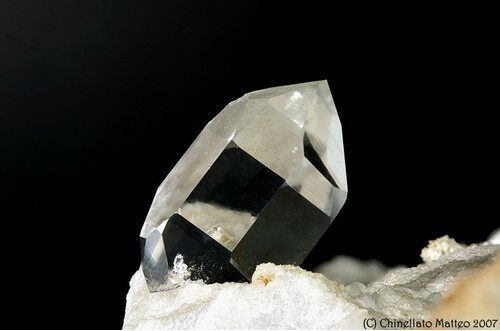 Crystals up to 10 cm have been found. Their first description is given by Agostino Del Riccio (1597). Habit: Most are short-prismatic, but elongated and tapered crystals occur. Aloisi (1909) reported 36 different crystallographic forms. Orlandi, P., and Franzini, M. (1994) I minerali del marmo di Carrara. Cassa di Risparmio di Carrara - Amilcare Pizzi Editore S.p.A., Milano, 109 pp. ; Orlandi, P., and Criscuolo, A. (2009) Minerali del marmo delle Alpi Apuane. Parco delle Alpi Apuane - Pacini Editore, Ospedaletto-Pisa, 180 pp. ; Biagioni, C., Orlandi, P., Camarda, S., Chinellato, M., Appiani, R., Del Chiaro, L., and Sanguineti, G. (2019) Minerals from marbles of Carrara and the Apuan Alps. LoGisma editore, Vicchio (Firenze) - Musumeci S.p.A., Quart (Aosta), 144 pp. Calcite ⓘ11 photos of Quartz associated with Calcite at this locality. Dolomite ⓘ6 photos of Quartz associated with Dolomite at this locality. Sulphur ⓘ3 photos of Quartz associated with Sulphur at this locality. Sphalerite ⓘ1 photo of Quartz associated with Sphalerite at this locality. Fluorite ⓘ1 photo of Quartz associated with Fluorite at this locality. 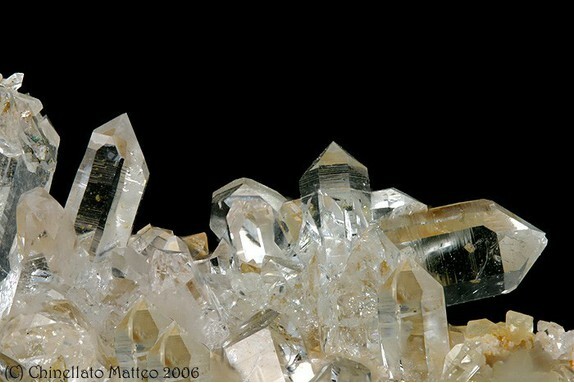 Gypsum ⓘ1 photo of Quartz associated with Gypsum at this locality. Adularia ⓘ1 photo of Quartz associated with Adularia at this locality.